Brendon Hartley says it was clear as far back as last year's Monaco Grand Prix that Red Bull would oust him. The New Zealander was a surprise draft into the junior team Toro Rosso's lineup following the ousting in late 2017 of Daniil Kvyat, but Kvyat is back for 2019, and the Russian's teammate will be rookie Alexander Albon. Hartley's departure wasn't announced until the season finale in Abu Dhabi, but the 29-year-old said he started to hear rumours around the time of May's Monaco GP. "When I look back now, what I will remember most is walking down to the paddock to meet with the media on the Wednesday and receiving a bunch of questions about my future," he wrote for The Players' Tribune. "Here I am, a handful of races into my F1 career, and I'm being asked about the end." 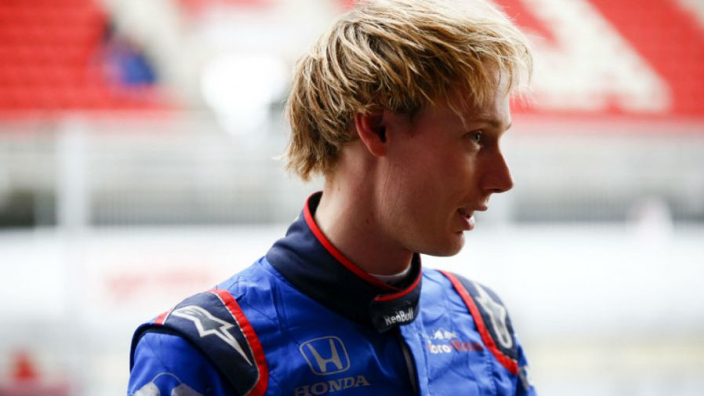 Hartley said he soon discovered there was "some truth" to the rumours, which ultimately led to him losing his seat for 2019. "After a few races, there were some people, it appeared, who didn't want me there," he said. "I'll be honest, this was a bit of a shock. "That's life in F1, though. The sport has so much money and so many people involved, it's only natural that there are politics." The Le Mans winner and WEC champion admits he will "miss" F1 this year, but he also said he is "excited" about his next steps. "As I write this I am working to put all the pieces into place for 2019 and beyond," Hartley added. "I'm fortunate to have a few options in front of me, but I need make sure it's a fit."